Discover Healthy Sleep Habits that Work! We all need sleep to maintain the right balance of mental, emotional and physical health. Practicing healthy sleep habits will ensure you consistently get enough sleep each night. Sleep Hygiene means practicing the healthy sleep habits that provide you with a good night’s sleep. It’s all about taking proactive steps to improve your sleep pattern. Not getting enough sleep can cause a wide range of problems that if not treated will progress into something serious over time. It can lead to all sorts of issues with your body. People have gone so long without having good sleep patterns they don’t even notice the side effects it’s having on them. Don’t fall into that trap! The negative effects of lack of sleep are much worse than most people realize. It’s shocking when you become aware of them for the first time. If you are still not convinced that developing healthy sleep habits are essential. I encourage you to spend some time exploring how sleep deprivation can impact your life. Losing one to two hours of sleep can negatively affect your short-term memory. In a profession such as medicine, memory loss could prove dangerous. When you’re irritable, you are more likely to lose control and snap on people. Lack of sleep can hurt your job performance and also damage your relationships. Operating with less sleep can be the difference between life and death. On a busy expressway if you’re distracted, your odds of getting into a car crash increase. Besides the other issues, prolonged sleep deprivation puts you at risk for heart disease. If you’re serious about getting a restful sleep each night, learn a little sleep education. These proven tips will help you sleep better. If you are like a lot of other people who have trouble falling asleep when they go to bed, you may have an unpredictable sleep schedule. Not going to bed at the same time each night disrupts your body’s internal clock, and makes it much harder to rest. But, going to bed at the same time every night helps you get into a solid routine, and you will notice the difference. A set sleep schedule will help you get the right amount of sleep you need. As a result, you will function better during the day which will make you happier. Taking naps during the day is a trap into which you don’t want to fall if your goal is to implement proven sleep tips. Those who sleep during the day can build up enough energy to stay awake at night. Since not getting enough sleep at night makes you tired during the day, breaking the cycle can be a challenge. The rewards, however, are always worth the effort. Forcing yourself to stay awake during the day will give you a much better shot at falling and staying asleep at night. Putting in the effort to avoid naps will take a little dedication at first, but following this advice will take you far. Some people wait until the last minute to wind down before going to bed. They watch movies or play games at night which gets their heart rates up. As a result, sleep won’t come easily for them or you if you follow in their footsteps. Your mind will still be active and processing information, and you will lose the peaceful bliss for which you have been hoping. Put your computer away and turn the television off at least one hour before you get ready for bed. You can have a relaxing conversation with a close friend or family member, or you can try reading a good book. Doing so gives your mind and body the needed time to slow down. Don’t be surprised if you find yourself dozing off as soon as your head hits the pillow. 4. Don’t Eat or Drink Right Before Bed! People who have learned proper sleep education avoid eating and drinking before bed. If you must eat, avoid eating or drinking things containing sugar or caffeine. They only make the situation worse. You may also get indigestion and have trouble relaxing. Plan to eat your meals at least three or four hours before bed, but you can enjoy a light snack one hour before you go to sleep. 5. Not Too Much Water! If you drink too much water before bed, you will need to get up and use the restroom. This interrupts the time you could use for sleeping. If getting enough hours of restful sleep seems out of reach, you might need to find ways to burn off your extra energy during the day. Starting a workout routine is a smart way to get in better shape and reduce stress. Start slow and work your way up if you have never worked out before so that you don’t injure yourself. Running or jogging for 30 to 45 minutes each day can help you sleep better than ever. Swimming is another attractive option if you have access to a pool. Stress is one of the top things that stop people from getting a healthy amount of sleep. Take a look at your life and see how many issues pop up that cause you to feel stressed out, and address them as soon as you can. Also, meditating for five or 10 minutes each day is a powerful method for reducing stress. When you are ready to begin, sit in a quiet place and turn your phone and other distractions off. You can either find a spot on the wall or close your eyes while you relax. You will then allow the thoughts in your mind to fade away while you take slow and deep breaths. Spending time in meditation is an effective way to fight stress. You will be surprised when you see what it can do for you over the long run. As you can see, poor sleep hygiene can negatively impact your life. But, implementing a few tips can position you to sleep better. Just practicing one or two of the above tips will let you sleep well each time you lie down to sleep. Getting enough sleep enables you to wake up feeling revitalized. When you wake up feeling rested, your chances of thinking and performing better go up. 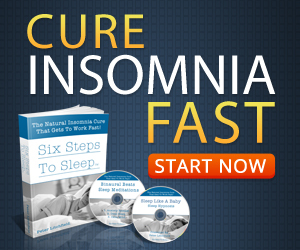 You will be glad that you made an effort to get your sleep problem under control for good.